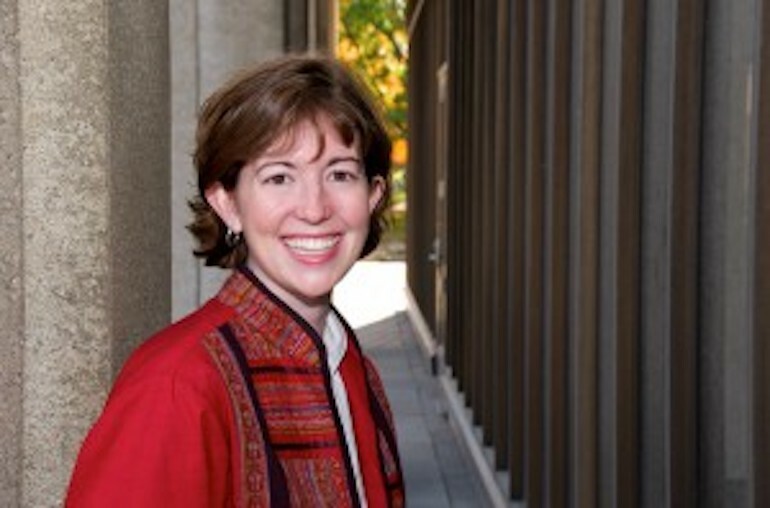 Lisa Huisman Koops, Ph.D., professor of music education at Case Western Reserve University, specializes in early childhood music, elementary general music, and world music education. Her research focuses on the vital role of the family in optimizing early childhood music development and education; additional research interests include the interplay of enjoyment and agency in children’s music making; international models for children’s music education with a focus on The Gambia, West Africa; and inclusionary models of early childhood music education for children with disabilities. She holds a Bachelor of Music Education from Calvin College (Grand Rapids, Michigan) and Master of Music and Doctor of Philosophy degrees in Music Education from Michigan State University (East Lansing, Michigan). Koops has taught general music in Zeeland (Michigan) Public Schools as well as early childhood music at Michigan State University’s Community Music School; she currently teaches early childhood music classes at The Music Settlement in Cleveland. Koops is a member of the editorial board of the Journal of Research in Music Education, the International Journal of Music in Early Childhood, and Contributions to Music Education. She has presented research in the fields of music education, ethnomusicology, and liturgical music and has published articles in Journal of Research in Music Education, Music Education Research, Research Studies in Music Education, Journal of Music Teacher Education, Early Childhood Education Journal, Contributions to Music Education, Perspectives: the Journal of the Music and Movement Association, Music Educators Journal, General Music Today, TRIAD, Audie, and The Hymn. Koops has also contributed chapters to the Oxford Handbook of Children’s Music Cultures (Oxford, 2012), Learning from Young Children: Research in Early Childhood Music (Rowman & Littlefield Education, 2011), and Early Childhood Music: Contexts and Perspectives (Springer Publishing, forthcoming). Koops serves as the chair-elect of the Early Childhood Special Research Interest Group (SRIG) of NAfME (National Association for Music Education). Koop is the recipient of a GRAMMY Museum Foundation Grant for her research on musical parenting (2017), two ACES+ grants (2013, 2017), UCITE Nord Grant (2012), a Glennan Fellowship (2008), a Worldwide Learning Environment grant (2008), and two W. P. Jones Presidential Faculty Development awards (2010, 2012) at Case Western Reserve University. She won an “Excellence in Teaching” citation from Michigan State University (2006) and has been a nominee for the CWRU Wittke Award for Excellence in Undergraduate Teaching, the John S. Diekhoff Award for Distinguished Graduate Mentoring, the John S. Diekhoff Award for Distinguished Graduate Teaching, and the Outstanding Faculty Advocate Award (CWRU Educational Services for Students Office). Koops served as a consultant for The Cleveland Orchestra’s “Musical Neighborhoods” 3-year early childhood music initiative funded by PNC Bank’s Grow Up Great program and conducts workshops for early childhood and elementary teachers. Koops maintains the website musicplayzone.com as a means to applying research on early childhood music teaching and learning for parents and early childhood teachers.